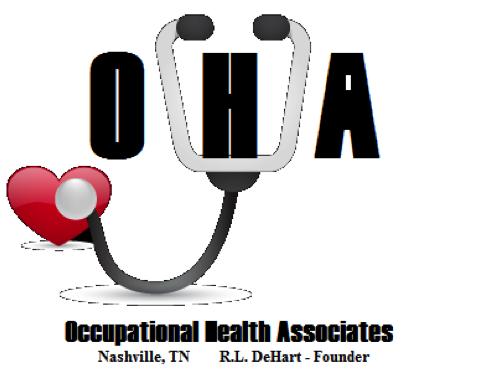 Dr. Roy L. DeHart and Julia DeHart are medical director, president and secretary respectively of Occupational Health Associates Inc. of Nashville, Tennessee. Established in 2001, Occupational Health Associates is a private medical corporation providing medical evaluation, consultations, site visitation and expert testimony. As Dr. DeHart is a respected expert witness in the field of occupational and environmental medicine, OHA’s main objective is to provide appropriate medical information, expertise, presentations and consultations for various corporate clients throughout the nation. Interviewed Dr. Roy DeHart, M.D., Ph.D. The medical director, president and secretary of OHA have 80 years of combined experience in the health care field. Dr. DeHart’s skills in occupational and environmental medicine make him a leading authority in the corporate health realm in Nashville, Tennessee. Having established the Occupational Medicine Department for Vanderbilt University in 1998, spearheading the corporate health services department at the university and editing three editions of The Fundamentals of Aerospace Medicine, he is internationally renown for expert knowledge in medicine. As in expert witness, Dr. DeHart is deft at bringing clients the results they desire and deserve. Julia DeHart secretary of the corporation is a Certified Occupational Health Nurse with over 30 years experience in nursing. Her attention to detail is paramount in preparing client paperwork for health consultations and expert testimony during courtroom depositions. As a small health corporation, OHA finds clients generally by word-of-mouth advertising, when a corporation needs an expert witness, a presentation on a topic in occupational medicine or evaluations on health forms, physicals and more. Corporate clients conduct independent research on who is the best physician to consult regarding occupational health questions. Lawyers representing their clients often comb through research and peer-reviewed journals to find the best person for the job. OHA’s publics would be large corporations, fellow occupational health physicians and law firms who specialize in occupational injuries and suits. OHA’s primary message is a simple one: to provide the best possible service to corporate and professional clients. OHA does not have social media presence, nor does the corporation have a website. Media presence is usually kept low key; however, Dr. DeHart is not averse to preparing press copy for appropriate medical journals, publications, etc. Knowledge of Dr. DeHart is usually via word-of-mouth promotion through Vanderbilt University’s own professional network and various academic and professional organizations that Dr. DeHart is a member. Occupational Health Associates is a small and mighty corporation led by a witty, erudite and well-respected physician. Having worked for them for several years, I can clearly understand why their services are so sought after. Everything that OHA handles is professional and held to the highest ethical and medical standards. I truly believe a social media presence in a professional network, such as Linked-In, or in an online community would better serve the organization and improve the promotion instead of word-of-mouth.